Increased interest rates meant that the debt that needed to be serviced increased. The recession in the developed world meant that they imported less from developing economies. As we saw in section 4.4, there has been a long-term decline in the real value of most commodities. 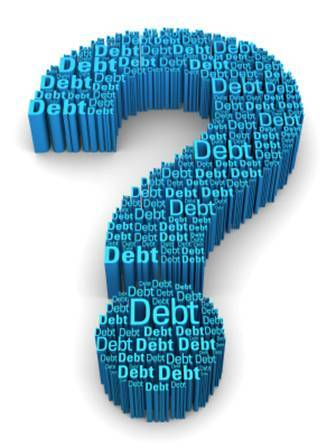 The debt crisis in the developing world still exists, although attempts to provide debt relief have reduced the indebtedness of some of the more indebted nations (referred to as Highly Indebted Poor Countries or HIPC). Many of the developing countries experiencing net outflows of money, in that they actually paid more to the developed economies than they received from them. So, the poorest nations were sending a substantial part of their income to the richer countries (the poor aiding the rich!). Total debt increasing 25 fold during the two decades of the 1980s and 90s. Debt-export ratio rising meaning developing countries having to earn more money from the sale of exports just to pay their debts. Debt to GDP ratio rising as a larger proportion of their national income is debt. Debt-service ratio rising. This shows the percentage of export revenue that has to be used to repay debt plus interest. This is not a problem if exports are rising faster in real terms, but they were not. Many developing countries had borrowed believing their economies would grow allowing debts to be easily pay-off debts. Alas, the opposite happened. Such debts are of course a loan and not a gift. Interest as well as the capital sum has to be repaid. Failure to repay debts causes a loss of financial status which can have an adverse effect on future foreign investment flows. It also means that slender financial resources are used to pay debts and not to build schools, hospitals etc. so there is a substantial opportunity cost involved. The 'debt-crisis' is most serious in sub-Sahara Africa, though some Latin and Southern American countries also owe large sums of money. At present every child born in Mozambique owes several hundred dollars from the moment it arrives on this planet! Attempts have been made to reduce debt, but those loans removed tend to be in the 'unlikely to ever be repaid' category, and so the real impact on the developing economy is minimal.